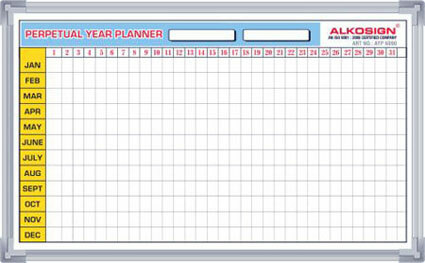 Adjustable Magnetic Sunday Blocks in Red color. Hanging Series aluminum frame - Light Weight. Acrylic Resign Coated Steel Surface. 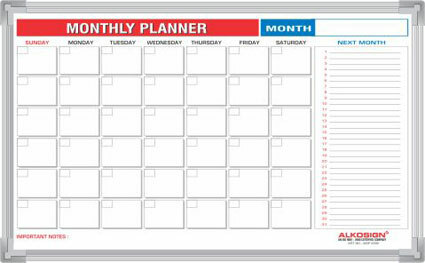 Most convenient perpetual monthly planner. 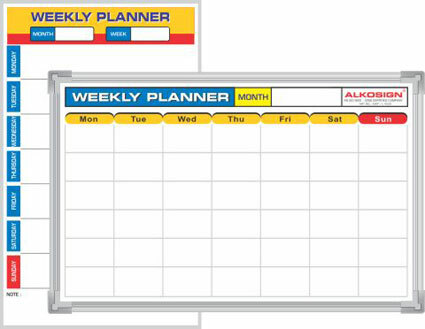 Most convenient perpetual weekly planner. Available in portrait and landscape. © All Rights reserved byShreeram Metafusion Eng's Pvt. Ltd.